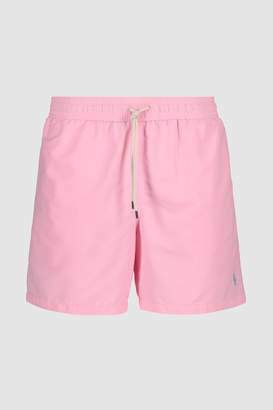 A perfect addition to your workout wardrobe, these rose plain shorts from Polo Ralph Lauren feature an elastic drawstring waistband, front angled pockets and a back buttoned pocket. It comes with a signature embroidered pony to complete the look. Machine washable. 100% Nylon.